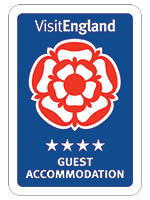 friendly atmosphere	with comfortable	accommodation. trip to the beautiful Lake District and its many attractions. 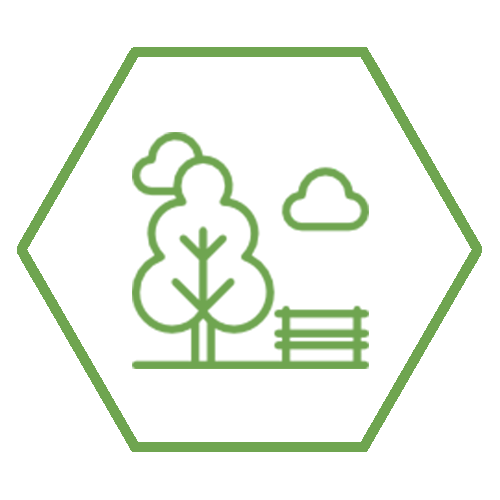 If you’re looking for a high quality, relaxing stay in Windermere then we are here for you. 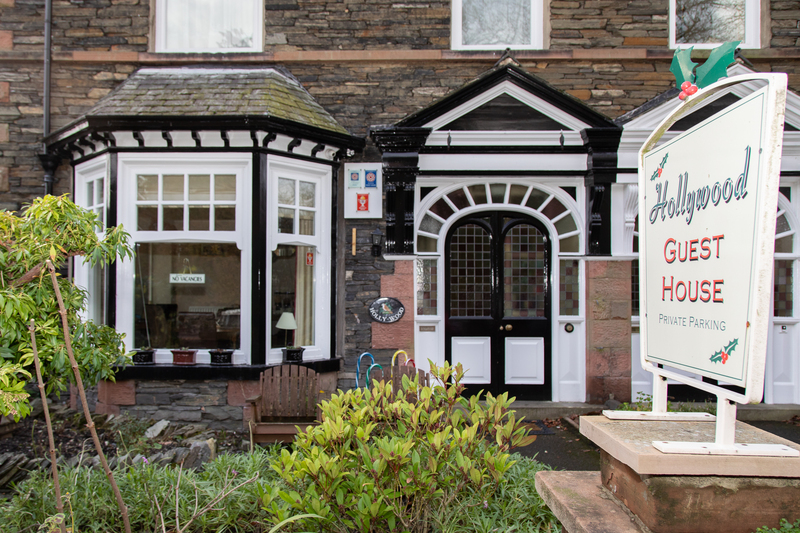 Holly-Wood Guest House is located on a quiet residential road just a few minutes’ walk from the centre of Windermere in the heart of the Lake District National Park. A short stroll down the hill will take you to Bowness-on-Windermere with its many shops, cafes and restaurants, you can also enjoy a boat trip up, down or round the lake from Bowness Pier. 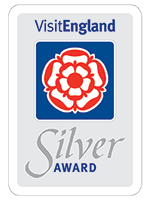 Why not come and spend a few days with us in a most picturesque part of the country and enjoy romantic walks with a magnificent back drop of spectacular hills and waterfalls. 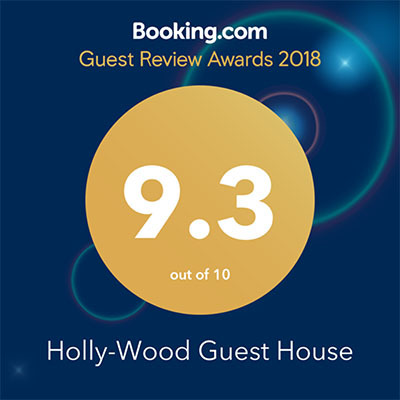 Holly-Wood Guest House has six incredible rooms, perfect for short stays or week-long getaways. 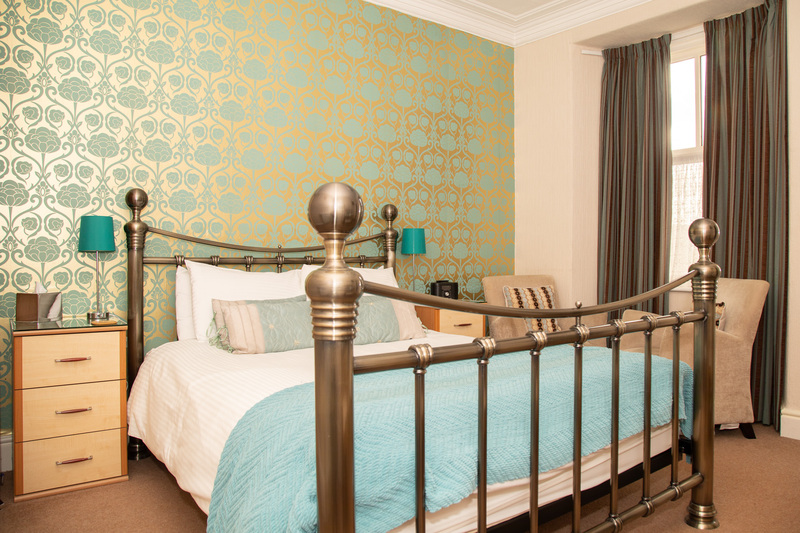 We have a selection of single, Twin and double rooms ideal for a stunning getaway in the Lakes. Our rooms have a unique design which combines the style of our surroundings, with the comforts of modern life, each room is equipped with an up-to date en-suite. Here at Holly-Wood Guest House, we always make sure that you start your day off right with a delicious breakfast. We offer a full, complimentary breakfast to each of our guests. As part of our comprehensive breakfast, you’ll be able to enjoy a range of locally sourced foods, including a continental breakfast, a full English and vegetarian alternatives. In addition to freshly-cooked breakfasts, we offer fresh coffee and orange juice. 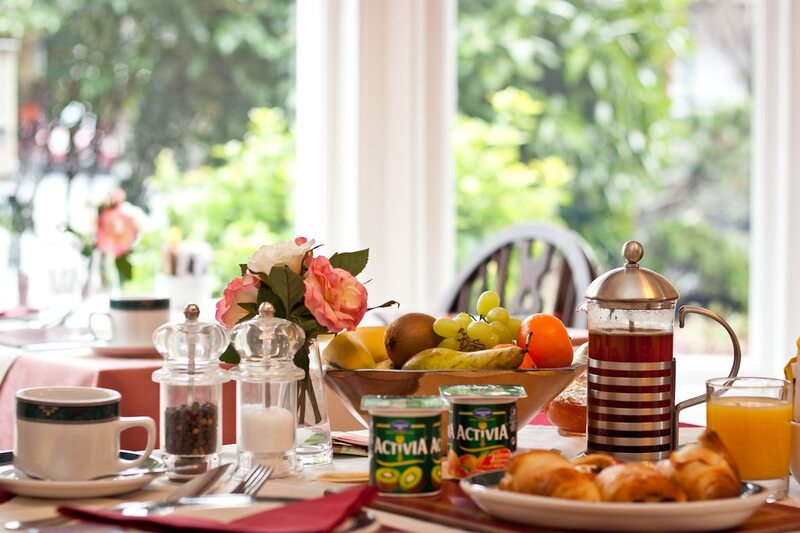 When you wake up from your great night’s sleep, you’ll be able to enjoy a home-cooked breakfast while admiring the stunning landscape around our Windermere Guest House. We pride ourselves on the incredible experience that we provide to our guests. If you have any dietary requirements, just let us know when you book and we’ll do everything we can to cater to you! This guest house is so perfect! Its location was great, near the dock and the bus station. The host are so warm, makes us feel like home! The room was delicate and comfortable. Wish to see Holly-Wood in the summer again! We were Ian’s first customers after he had taken over as the owner! He was amazing and couldn’t have done more for us! He was really lovely! Even sending over a recipe for the nicest scrambled eggs he made us for breakfast after we had left! We can’t wait to stay here again. Nice and relaxing week in which I could come and go as I pleased. The staff were always on hand if you needed anything. Room was nice and clean and warm. Bed was excellent too! Great breakfast plenty to choose from! Ian and family were very accommodating and welcoming. Dedicated staff that went the extra mile. Super clean room and bathroom. Extra comfy bed. A quality place to stay. Amazing value for money. Perfect breakfast, perfectly cooked and various different options. The best b&b my fiancé and myself have stayed in, so clean and cosy, breakfast is a must 🙂 we will be back again. Thanks for a lovely stay.